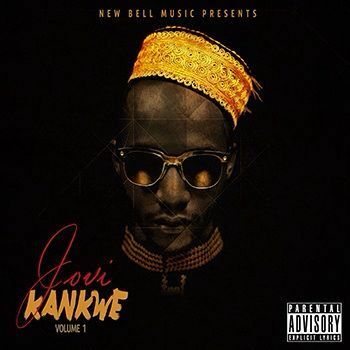 Cameroon’s rapper-producer, Jovi releases his latest EP, “Kankwe Vol. 1.” Available for free download on bandcamp.com and produced by Le Monstre, Jovi’s new 5-song EP features the his signature futuristic electro African hip hop sounds. The title “Kankwe” refers to Jovi’s unique language and style based in his Pidgin vernacular. “Kankwe Vol. 1” follows a string of hits including “B.A.S.T.A.R.D.,” “Don 4 Kwat,” “Pitié,” and “Bush Faller,” and is the precursor to his second full-length album, to be released later this year. Jovi’s videos have been shown on Trace TV and Channel O, and his music has been featured on the BBC, okayafrica.com., notjustokay.com., and many more. Jovi is an award-winning rapper, producer, and sound engineer, and is the founder of New Bell Music, the growing hip hop label in Cameroon. Rapping in English, French, and Pidgin, Jovi mixes original beats with contemporary hip hop, African rhythms and instruments to create truly original, genre-breaking African hip hop.